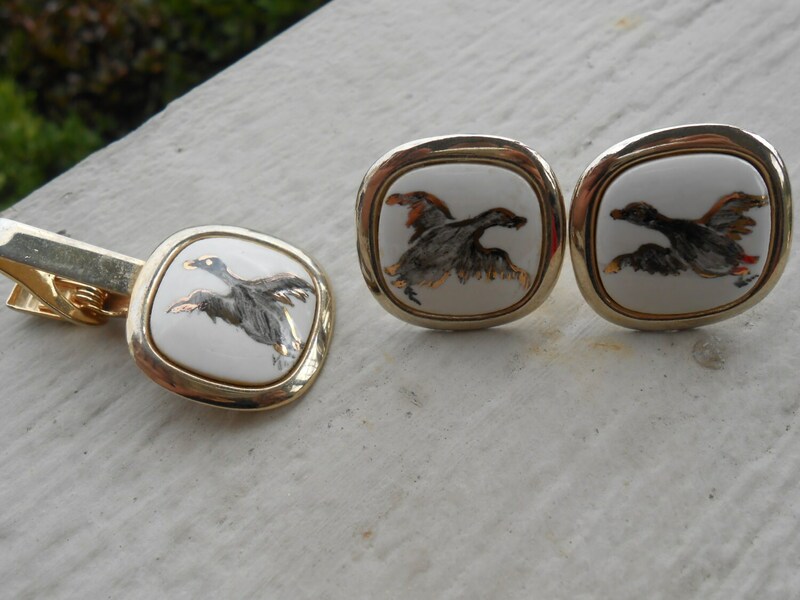 Vintage Duck Cufflinks & Tie Clip. Handpainted. Hunter, Wedding, Men's, Groomsmen Gift, Dad. 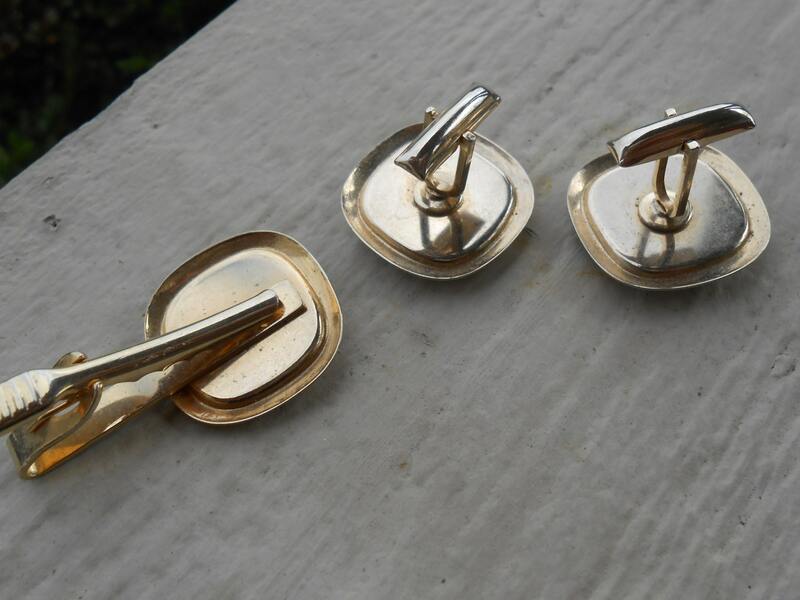 These vintage gold tone cufflinks and tie clip would be perfect for the duck hunter! Each piece has a hand painted duck, on a light ivory square. The cufflinks measure 1 1/8". The tie clip is 1 3/4" long. They were made in the 1960s and are in good condition. These would be a great gift for any time of the year! 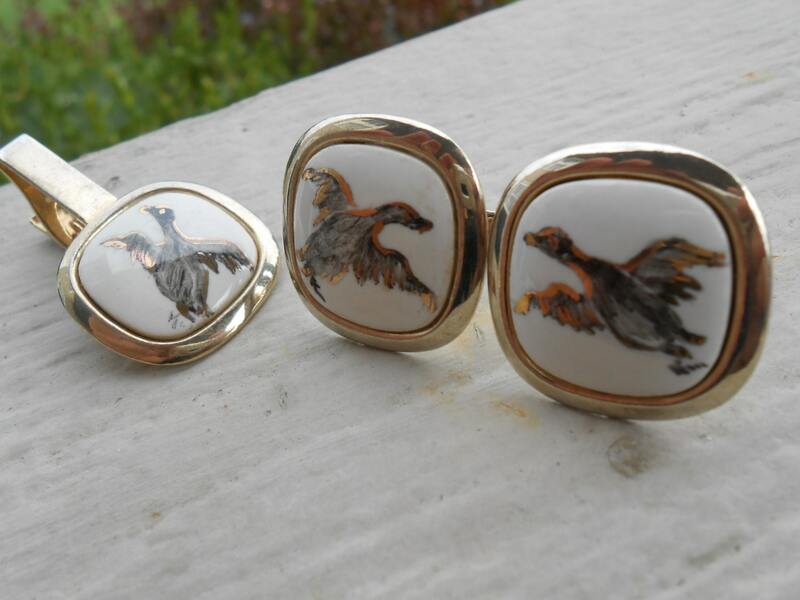 They are wonderful cufflinks for a wedding, for a groomsmen gift, for Father's Day, or a birthday, an anniversary, or any other reason!